What in the world have I been working on, you wonder? Have I fallen off the edge of the planet, you ponder? Behold, my awesomeness is before you! Okay, that might be exaggerating just a touch, but believe me, I am super DUPER excited about this mood board! ...and my daughter is no exception. 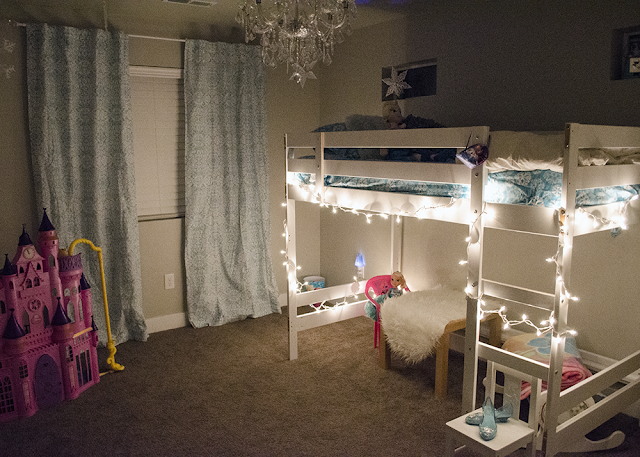 We were going an entirely different direction with her original "Big Girl" room plan (think pink and gold with orchids), but alas, Disney has done it again and Miss Chloe won't have anything other than "Frozen blue" and snowflakes and Elsa. 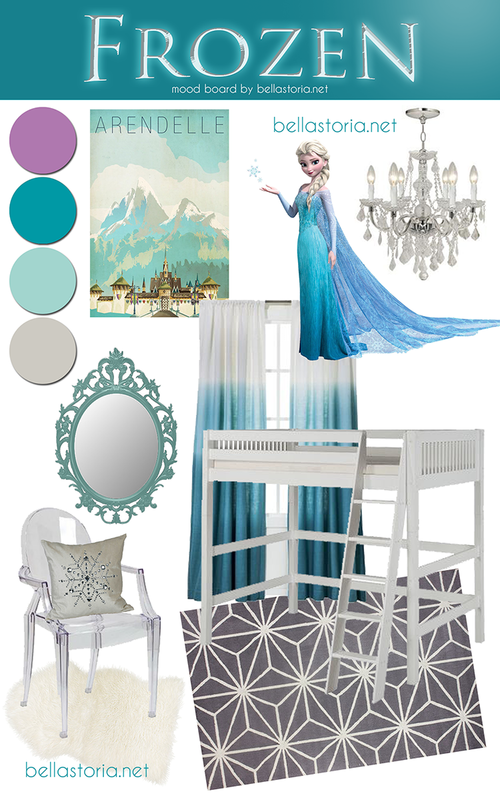 Starting with new window treatments, a fluffy sheepskin rug, an icy chandelier, and snowflake sheets. Still on the list: Area rug, adding sheer curtains, Elsa poster, painting and/or stenciling, and a few surprises I can't wait to show you! This change in design, however, did set me back a bit in the decor planning and purchasing department. A few returns had to be made, and a new mood board had to be created! The full source list is now available! Next up, the source and installation of Miss Chloe's fancy schmancy new chandelier (yes, my 5 year old wanted a chandelier, even pre-Frozen - love that kid)!